It would be difficult to overstate the iconicism of the Lancia Delta HF Integrale. It swept all comers aside - on the road, and in competition. 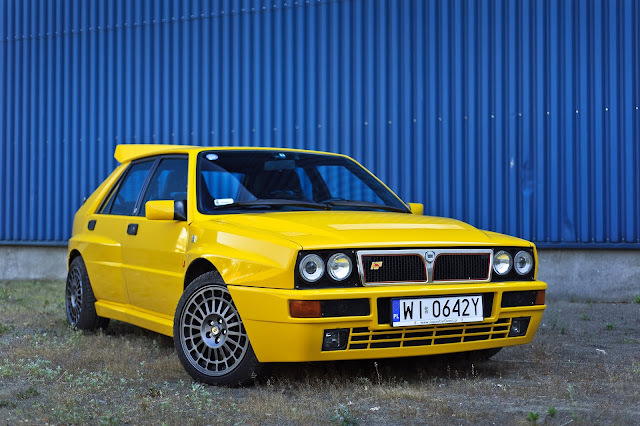 In the year and a half following its release - in 1987 - the Delta Integrale won 14 World Championship rallies. Driver Miki Biasion took full advantage - garnering two world titles. The Integrale's original 8-valve cylinder head motor made 185bhp. In '89, it was replaced by a 16-valve head. Power increased to 200bhp. The new model totted up 13 top-flight rally wins. Juha Kankunnen took the '91 drivers' title. In time, the fruits of such success trickled down. The road-going Integrale's finely-tuned 4-wheel-drive set-up gave good handling, in all conditions. Combine that with a 2-litre turbo-charged engine - and you had a perfect blend of speed and precision. As a hatchback, practicality was a given. But there were little luxuries, too. Like Recaro seats, electric front windows, and a cute instrument panel. It all added up to an impressively 'integrated' package. Wide wheel-arches and fat tyres presented a splayed and purposeful muscularity of form. The styling was not 'boxy' - but minimalist! 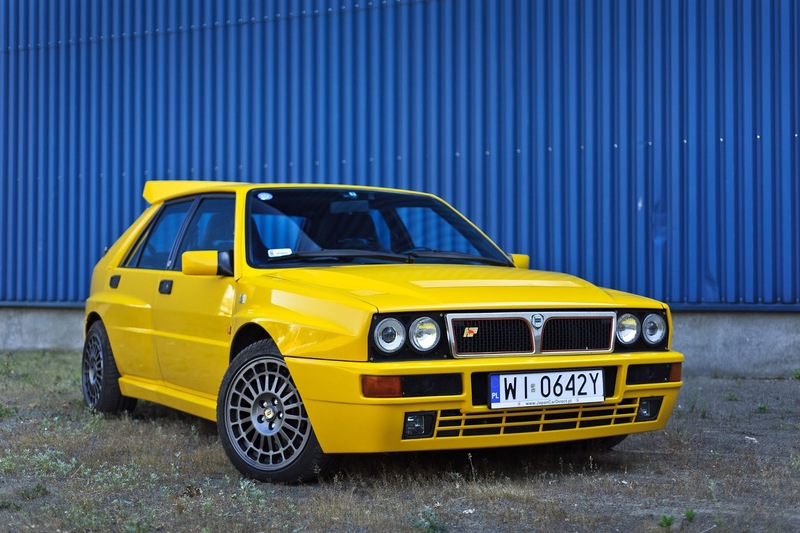 As all-rounders go, then, few cars have held a candle to the Lancia Delta HF Integrale!